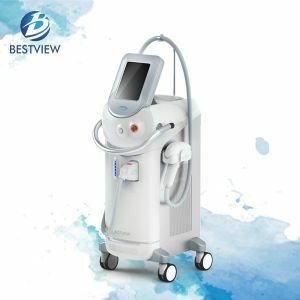 IPL SHR+ND Yag laser BW289 is a new kind of beauty equipment for sale, which combines the function of IPL SHR machine and ND Yag laser tattoo removal machine that applies for the removal of unwanted hair and tattoos. 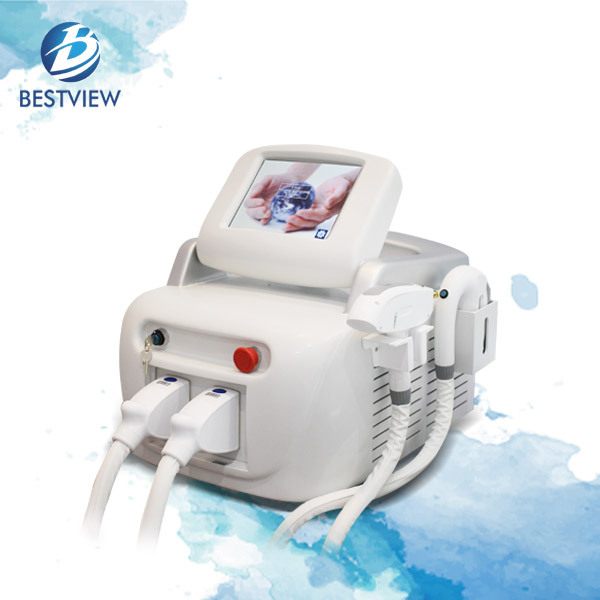 By adopting the same working principle with IPL series machine, BW289 can be used to remove all kinds of unwanted hair of all body parts, such as armpit, hands, legs, mouth, feet, bikini, forehead, stomach etc. 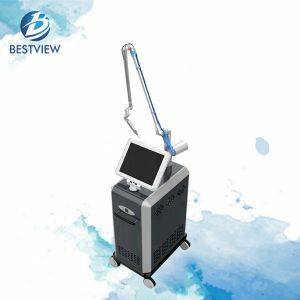 Similar to BW190 and BW191, IPL SHR+ND Yag laser BW289 is equipped with tattoo removal function, which also have good treatment effect in dealing with pigmentation problems, such as the removal of tattooed eyeline, tattooed eyebrow, vascular etc. There are also two treatment heads that are used to treat dark and light pigment problems, and doctors or clinicians may select the specific treatment heads with the actual personal situation of customers. 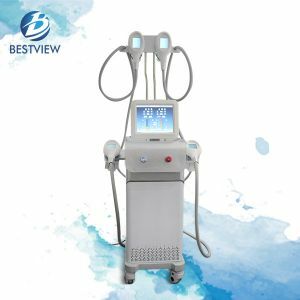 It is evidently that IPL SHR+ND Yag laser BW289 is a multifunctional machine, which is a 2 in 1 machine. 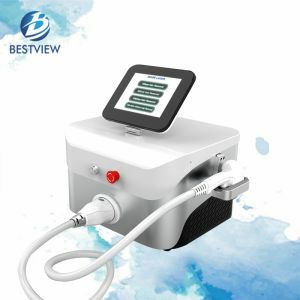 It is no need to say that the machine will bring much more convenience for both investors and customers, and it will save lots of money for users because they don't need spend extra money to buy any single type of hair removal or tattoo removal machine. With a BW289, it is totally enough to meet daily hair and tattoo removal requirements of customers.  So, why not check this machine instead of buying single type? 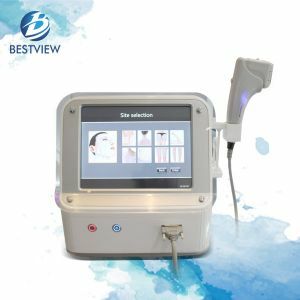 With over 30 years manufacturing experience, Zhengzhou Bestview has accumulated rich experience in producing beauty equipment for sale, and we always tend to provide best hair removal machine, tattoo removal machine, skin rejuvenation machine and other machine for global customers, and welcome to contact us at any time for a free quotation if interested. 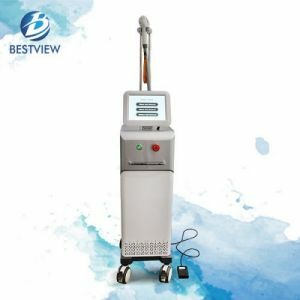 By adopting the same working principle with IPL series machine, BW289 can be used to remove all kinds of unwanted hair of all body parts, such as armpit, hands, legs, mouth, feet, bikini, forehead, stomach etc. 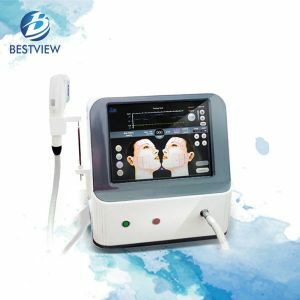 Similar to BW190 and BW191, IPL SHR+ND Yag laser BW289 is equipped with tattoo removal function, which also have good treatment effect in dealing with pigmentation problems, such as the removal of tattooed eyeline, tattooed eyebrow, vascular etc.